Home » Blog » seo » Will Your SEO Efforts Get You Banned? 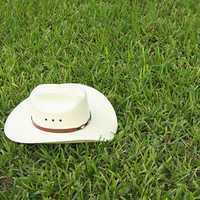 Are you an SEO (Search Engine Optimization) cowboy that’s learned just enough to be dangerous? Are you a business owner that hired someone to do SEO because you heard it’s what you should do but you really have no idea what’s going on? Have you purchased a domain and you’re really not sure who owned it before you? Any of these scenarios has the potential to get you penalized or even banned from Google and other search engine’s search index. How could that happen? A good SEO (Search Engine Optimizer) will help search engines easily access content and pages as well as provide relevant tags, headings, and other elements to let them know what your site is about. They will also do keyword research to find out what your site should be optimized for and they will make changes and employ tactics that the search engines have deemed “in compliance”. This is called “white hat” (think cowboys in old time Westerns). Doing shady tactics that are definitely not in compliance is called “black hat” and doing activities that are probably not in compliance or are riding the edge are called “grey hat”. If you end up getting a black or grey hat SEO or you just end up getting someone that doesn’t know what they’re doing is black hat, you may get penalized or banned. Are you setting text to not be displayed on your site? Are you placing the content on your site to get the SEO benefits but it’s not something that your visitors will see? If so, you have a great chance of getting banned. This includes using CSS display set to “none”, making text the same color as the background or setting the margin to a negative number. Basically if you can’t see the text while browsing to the site, it’s not good. Are you repeating your keywords over and over in your content, in your meta tags, and everywhere on your site? Is it blatantly apparent that your putting keywords everywhere? You should mention your keywords everywhere but if you’re riding the line of creating a negative user experience from all of your keywords, you might feel the wrath from Google. Building links to your site (getting other sites to create a link to your site) from other good quality sites is a great way to increase your rankings on major search engines. Think of these links as a vote for your site and the site with the most relevant content and the most good quality votes is going to be ranked highest. Where you run into issues is when you build low quality or “spammy” looking links to your site. An easy review of this is to look at the site where the link was built. Does it look spammy with a bunch of links to random sites? Is the link to your site hidden? If so, you run a good risk of getting banned or penalized. Avoid any link building schemes that are automated! You also run the risk of being penalized if you buy a domain that had bad links built to it before you owned it. This actually happened with our domain last year where our ranking went from #1 for a key term down to not ranking in the top 50. On review I found that some spammers owned my domain before me and they had built over 18,000 spam links to the site. Upon finding this, I was able to request a review of my site by Google to let them know it was done before I owned the site and the penalty was lifted. Just be careful. If you are new to SEO, a business owner or you think you might have some issues, you should read Google’s guide to Search Engine Optimizers.